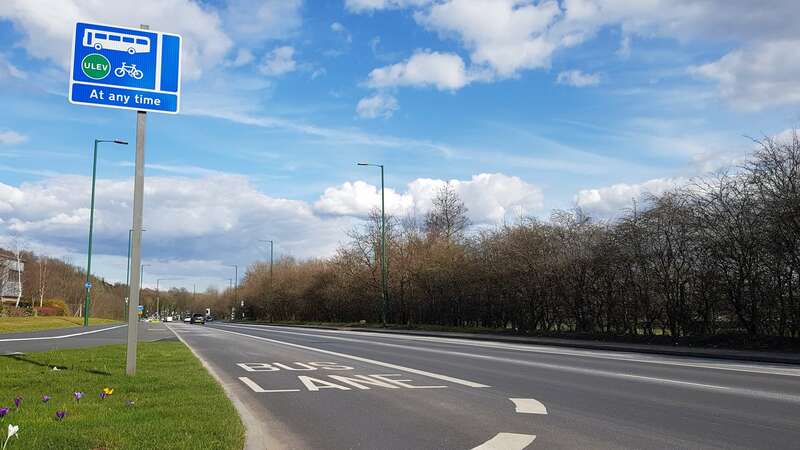 You may have seen this sign on the bus lane along Daleside Road near Colwick Park, but what does it mean? Primarily it’s a bus lane, but along with buses and cycles, ultra-low emission vehicles (or ULEVs) are able to use it too. For this scheme an ‘Ultra Low Emissions Vehicle’ (ULEV), is a vehicle that emits less than 75g of carbon dioxide (CO2) per kilometre travelled, with a capability of travelling a minimum range of 10 miles with zero CO2 emissions. This is based on the HM Treasury Company Car Tax definition. That might sound a bit technical, but basically it covers all fully electric vehicles, and some but not all hybrids. How do I know if my vehicle is an ULEV? If your vehicle is fully electric then it is an ULEV. If your vehicle has a pure petrol or diesel engine, then it is not an ULEV. If you’ve got a hybrid then check the DVLA database to obtain a gCO2/km figure and check with your vehicle manufacturer to confirm whether the vehicle complies with the 10 miles zero emissions part of our definition. As a guide, we’ve compiled a list of all the Ultra Low Emission Vehicles currently on the market in the UK. 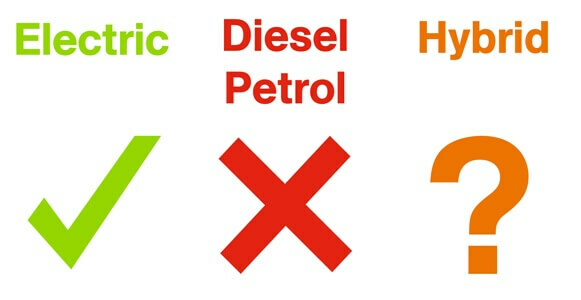 Some emissions standards for certain diesel cars (particular imports and conversions) are not held by the DVLA, and show as 0g CO2 on their emissions checker. Please note this does not mean the vehicle is ultra low, only that the data is not held by the DVLA. The council takes DVLA data alongside other information into account before issuing a Penalty Charge Notice. Why not order an ULEV ID sticker – this isn’t essential to drive in the bus lane but it well help other drivers to identify your vehicle. Improvements to Daleside Road have improved facilities for buses, cyclists and ease congestion. 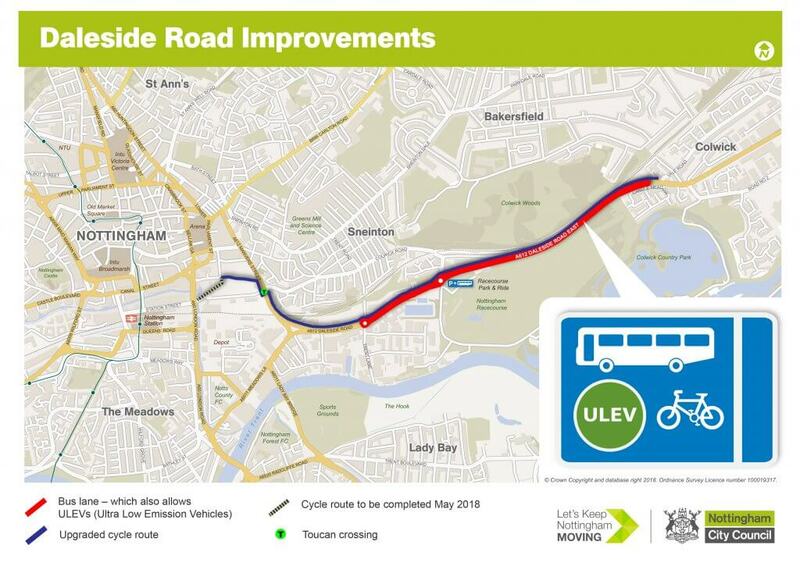 The road has been widened to accommodate the new bus/ULEV lane, which will take additional vehicles out of the main flow of traffic, which is helping to keep Nottingham moving. Is this for all bus lanes? At the moment we have no plans to expand this to other bus lanes. The bus lane on Daleside Road is the first of its kind in the UK so we need to trial it, before considering expanding this elsewhere in the city. What happens if I drive in the bus lane and my vehicle is not compliant? We realise drivers may be unfamiliar with ULEVs, and won’t have come across a bus lane which allows these types of vehicle to drive in it. We will initially issue a warning notice to motorists of non compliant vehicles that drive in the lane but subsequent breaches will result in a Penalty Charge Notice being issued. Nottingham is growing and the A612 is a major route into the city, with a large amount of development taking place. High volumes of commuter and other traffic pass along it every day, contributing to the levels of harmful emissions in the city centre. Nottingham is at the forefront of initiatives aiming to tackle air pollution through smart green transport. 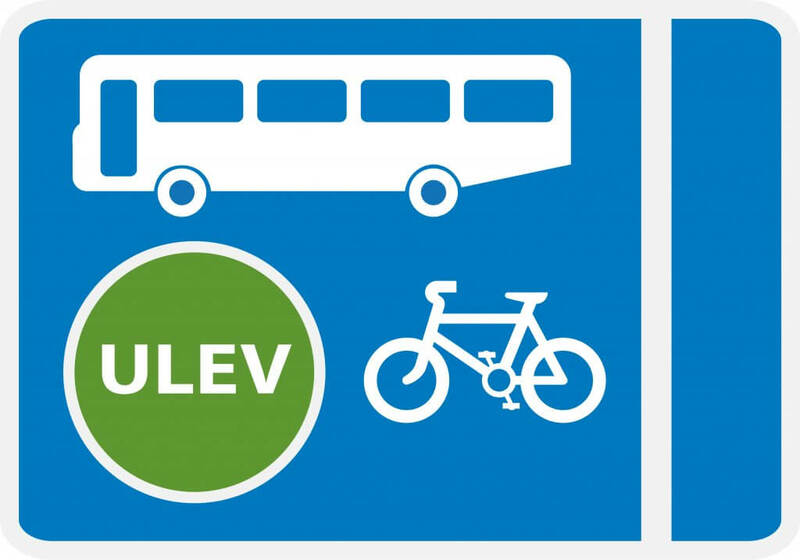 Biogas and electric buses already operate along the route so in addition we decided to allow ULEV drivers to share the bus lane, recognising their contribution to cleaner air. A series of improvements to Daleside Road were completed in March 2018. The works have a number of benefits, including reduced bus journey times and better facilities for cyclists and pedestrians. The scheme is part of wider improvements to better connect the east and the west of the city, and to link up employment and housing to support Nottingham’s growth. This is part of our Go Ultra Low project, which aims to support the take up of less emitting vehicles in Nottingham.